A fresco of the First Council of Nicaea, which condemned the heresy of Arianism. This is just shocking. Worse, it’s terrifying. Apparently, heresies condemned more than 1500 years ago by the Church are making a come back in American Evangelicalism. That’s not hyperbole either. Christianity Today has a new report highlighting a survey of American Evangelicals on fundamental beliefs, like the nature of the Trinity. And while some of the the numbers are good, many are horrifying. More than half (51%) of American Evangelicals deny that the Holy Spirit is an actual person (and think He’s just “a force”). 16% believe Jesus was a created being made by God. And countless others are unsure on these questions! At the same time, 22% of American Evangelicals think Jesus is less divine than the Father, and 9% believe that the Holy Spirit is less divine than the Father and the Son. The article goes on to highlight the Pelagian thinking that is infecting American Evangelicals’ understanding of salvation. These are not small problems. These are big problems—Church dividing problems. There’s a reason the early councils took pains to reject and condemned these heresies. There’s a reason orthodox Christianity faced real persecution over these questions. If you needed a reason why you should read the writings of the Early Church and the Ecumenical Councils, this is it. Scripture is very much the ultimate authority in the Church, but the tradition of the Church helps us to norm our understanding of that Scripture. When we ignore this tradition, we end up resurrecting old heresies. Churches which divorce themselves from the history of the Church effectively throw away a map which would help keep them on track. Let this be a warning to us all (whether Evangelical or not): we need to encourage stronger teaching of the essentials of the faith in our churches. And that means teaching real doctrine. My most recent column for The Canadian Lutheran reflects on the Church’s identity as the Bride of Christ. 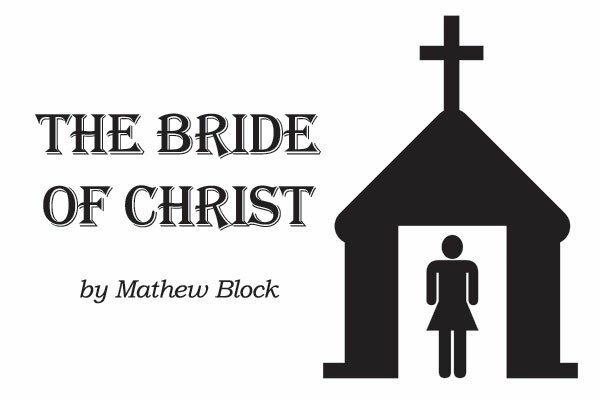 Reflecting on the language of the Song of Songs, I invite my readers to reflect more deeply on what it means to be a bride—the feminine counterpart to our bridegroom Christ. From the Church’s beginnings to its present, women have played vital roles in Christian witness. In fact, some scholars believe that the early Church had a much higher percentage of women in it than men; it is certainly true that the 2nd century pagan critic of Christianity, Celsus, ridiculed the faith as a religion of “women and children.” But what he considered a defect, the Church could embrace: God was bringing women into the Church, and they were raising their children in the faith. The Church was growing because of these devout women, even if their unbelieving husbands did not always approve. I look at one such women in particular: St. Monica, the mother of St. Augustine. Her story—one of long-suffering witness to her unbelieving family—is a powerful testimony to the mercy of God, even when we can’t see Him working as quickly as we would like. Such women are justly remembered today. We in the Church do well to emulate them as we live out our calling as the Bride of Christ—that we would be faithful to Christ, our true Husband, but that we also be patient and loving witnesses in our relationships with non-Christian friends and family around us. May God continue to raise up strong women like Monica in our time, that the Church would be ever strengthened through their faithful testimony and service. 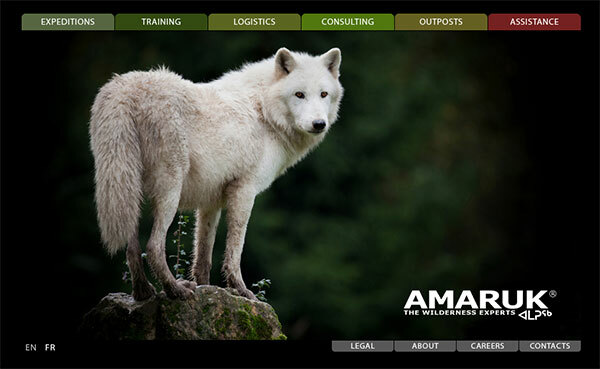 A screen-shot of Amaruk’s website. So, yesterday morning I published a lengthy bit of research into Amaruk, PAWGI, and Christopher Fragassi (see “Digging deeper into the Amaruk story: Who is Christopher Fragassi?”). I had been following news reports since CBC first broke the story, and thought the two groups (CBC News and The National Post) who had been giving the subject initial coverage might find it interesting. To that end, I tweeted them a link to my research early yesterday morning. I hoped it might spur them to dig a bit deeper into the story themselves. Highlighting Amaruk’s requirement that all prospective employees require PAWGI certification (while noting the suspicious links between the two groups). Noting that professional guides began raising questions about PAWGI in an online forum years ago. Noting Fragassi’s connection to Sooke, B.C. Noting that Fragassi served as President of the BC Chapter of The Wilderness Society. Noting that Fragassi was tapped as a survival expert consultant for Hinterland video games. While I’m pleased to see The National Post take up the story again, an acknowledgment recognizing the use of my research would have been nice. Granted, it’s certainly possible all The National Post’s research could have been original, but the fact that The National Post published their story about a half-day after I published mine makes the timing rather coincidental—especially since I sent them a link to it earlier in the day. Their most recent story on the subject before last night’s was six days earlier. Still, I’m glad to see more investigative reporting going on regarding Amaruk and Christopher Fragassi, and hope to see more in the future. UPDATE: Brian Hutchinson has responded to this post with a tweet, suggesting his story was actually filed on Wednesday afternoon. So while my post would have been published first, his would not have been directly influenced by mine. It may well have been a simple case of coincidence after all. @captainthin @nationalpost @captainthi I filed my story Weds 2pm PT. It was published yesterday. With respect, I’ve never read your blog. Digging deeper into the Amaruk story: Who is Christopher Fragassi? You’ve already heard the story. A Trinity Western graduate named Bethany Paquette had her job application to Amaruk rejected in a letter that attacked her Christian faith. She subsequently filed a human rights complaint against the company. CBC News broke the story back on October 7. Further reporting by CBC and The National Post have raised questions about the company’s existence. Since then, we haven’t heard much. Let’s look a little deeper into the story. A quick look into the WHOIS information for amaruk.com (as well as amaruk.net and amaruk.org) lists a Joshua Wilkinson of Anchorage, Alaska as the registrant for the domain. 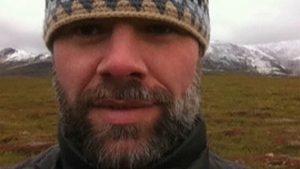 Wilkinson is listed on Amaruk’s website as the Regional Lead Guide/Instructor for Alaska. Amaruk’s entry on Industry Canada’s website further identified Wilkinson as Vice-President, Public Relations for the company. (The Industry Canada entry has since been deleted, but a cached version from October 3, 2014 is available here.) A Joshua P. Wilkinson was also until recently listed as Technical Director of PAWGI (Professional Association of Wilderness Guides and Instructors) (see cached webpage here). What is PAWGI, you ask? Well, it describes itself as a certification organization for wilderness guides. In fact, Amaruk’s internship hiring policies note that they require “Current Active/Inactive PAWGI Certified Assistant Guide (CAG) certification” for all applicants. But as The National Post reports, PAWGI itself seems to be a suspect organization. Their website until recently listed Christopher Fragassi-Bjornsen as its technical director for Canada (see cached webpage here); the same person was identified on Industry Canada’s website as Co-Chief Executive Officer for Amaruk (see cached webpage here). What’s more, Amaruk is apparently the trademark owner for PAWGI’s logo. When I first came across the PAWGI website around christmas, I thought this looks good and began to look into deeper, do some research before committing and made some enquiries to PAWGI themselves and friends in Canada. I had some concerns and raised them direct with PAWGI, the response was full of personal insults, abusive rants and threats of legal action, certainly not what you’d expect from an organisation with the word ‘Professional’ in it’s title! The other day I received a letter from Amaruk, with further threats of legal action because of the points I’ve raised on this forum – It’s the first time I’ve been threatened with arrest in two countries or more, purely for asking questions if someone can provide evidence of claims they make on their own marketing. I’ve found the whole thing bizarre !! But I’m digressing. According to Amaruk’s website, all applicants are required to have PAWGI certification. By a lucky coincidence, Amaruk just happens to be the agency that offers PAWGI’s CAG certification. You can get it through an online course for only $745 plus tax. So then: we’ve determined that to be “eligible” according to Amaruk’s hiring policies, all applicants would first have to get PAWGI certification. And you get PAWGI certification through Amaruk. Is it possible that Amaruk’s purported job openings (Waterman called them “too good to be true”) are simply a way to funnel people into the online course—a scam in the simplest terms? Given that PAWGI’s CAG is listed as an essential qualification for applicants, it isn’t beyond belief. The purported President of PAWGI is Bruce C. Kenwood. A Bruce Kenwood is also identified by WHOIS as pawgi.org’s domain registrant. Someone claiming to be Kenwood wrote to the National Post, turning down an interview request and criticizing media coverage of Amaruk. But despite all these names and titles, the story always seems to keep coming back to Christopher Fragassi. CBC reports that he is listed as co-CEO of a number of other companies, and that the domain names for all these were registered in B.C. by him. What’s more, he alone is listed on Amaruk’s B.C corporate registry entry. So who is Christopher Fragassi? It’s hard to say exactly. Curiously, CBC News has actually used him as a source before. A September 2012 story identifies him as a Yukon guide who was concerned people were poaching caribou near the border between Yukon and the Northwest Territories. Local conservation officers denied the story, saying there was no evidence of poaching in the area. The story was followed up by Yukon News, who quoted a Maarten Harteveld (purportedly of Holland) as backing up Fragassi’s claims. [Unsurprisingly, Harteveld was, until recently, listed as Technical Director, The Netherlands on Amaruk’s technical committee.] And who else did Yukon News quote? Fragassi—who corresponded by email. He claimed to have been leading expeditions in the area for over 10 years. More than a year earlier (in January 2011), Christopher Fragassi was named the new President of the British Columbia Chapter of the Canadian Section of The Wildlife Society. His contact information includes an Amaruk email address. He was still listed as President of the British Columbia Chapter a year and a half later in June 2012. The next issue of the newsletter after that notes a change in president in both the BC and Manitoba chapters. If, indeed, as some have suggested all the various agents identified by Amaruk and PAWGI are all one and the same person, it may well be that Fragassi (or Fragassi-Bjørnsen as he goes by more recently) is where the buck finally stops. At any event, he doesn’t seem to be too keen at all the attention put on him as of late. DailyXtra is reporting that he intends to sue CBC News, Sun TV, and The National Post. And he’s already facing a human rights challenge for religious discrimination over his treatment of Bethany Paquette. Still, legal challenges may be nothing new to him. It appears the same was named a defendant in a legal proceeding brought earlier by Call of the Wild—way back in 2007. Fragassi had apparently been operating an organization called Call of the Wild Expeditions. Fragassi either lost the trademark case or acquiesced, as the trademark registered by Fragassi was subsequently transferred to the plaintiff. Frankly, I don’t fancy his chances in his current legal troubles either. Captain Thin is powered by	WordPress 5.0.4 and delivered to you in 0.535 seconds using 37 queries.